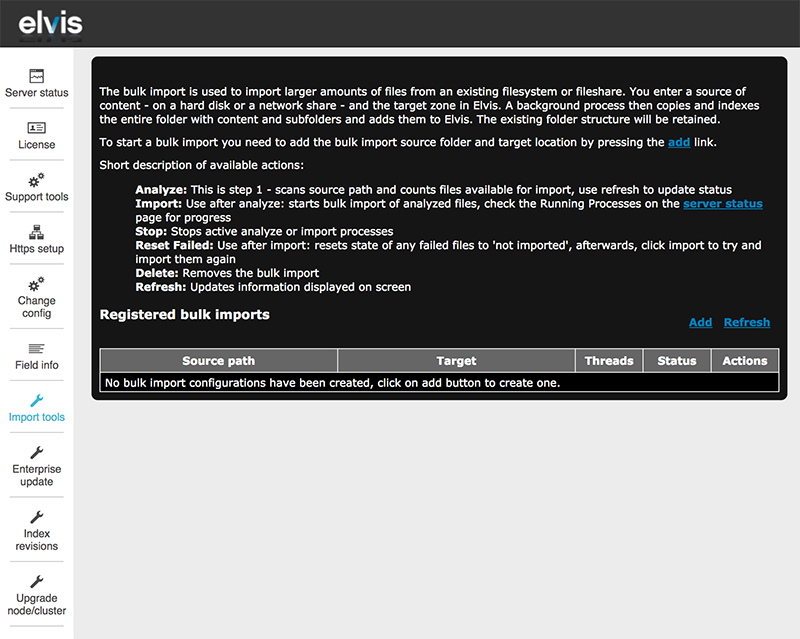 The Bulk Import tool on the Admin pages of Elvis 5 Server is one of the ways of importing files in bulk into Elvis 5. This article explains how to use that tool. 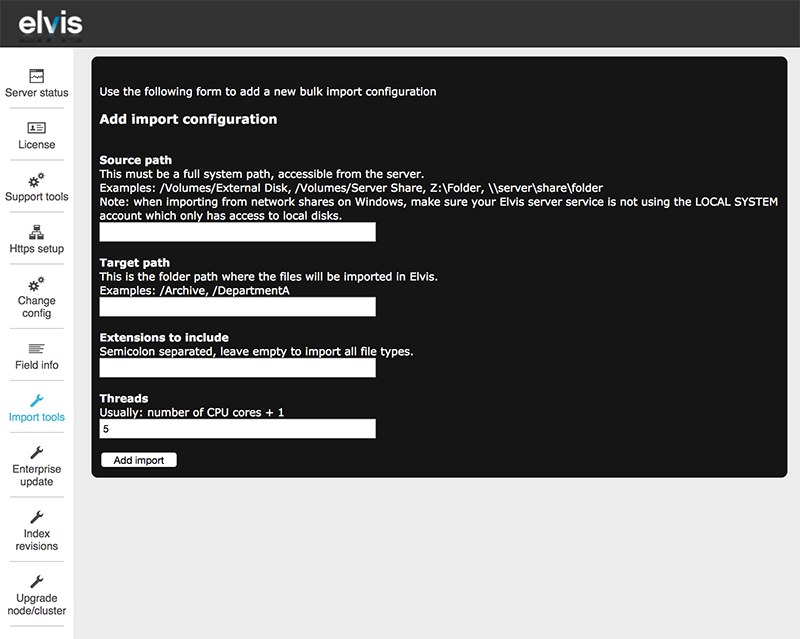 13 June 2018: Added information that the import tool has been removed in Elvis 5.27.9.